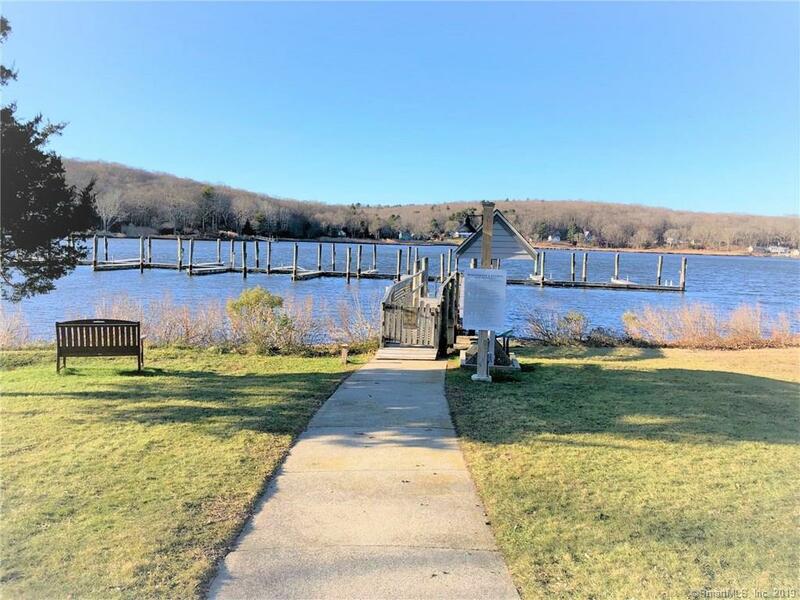 Mystic condo in walking distance to shopping, restaurants, Olde Mystic Village, Mystic Aquarium, Mystic theater and much more. Whitehall Landing offers a coveted private association Dock set on the Mystic River. This home has three levels, with an attached one car garage. The condo is beautifully updated with a stylish brand new Kitchen complete with granite counters, stainless steel appliances, and tiled floor. Enjoy the warmth from the two sided wood fireplace facing both the Living and Dining areas. Enjoy serene water views from the large new double sliders looking out from the Living room that opens to the deck for relaxing. 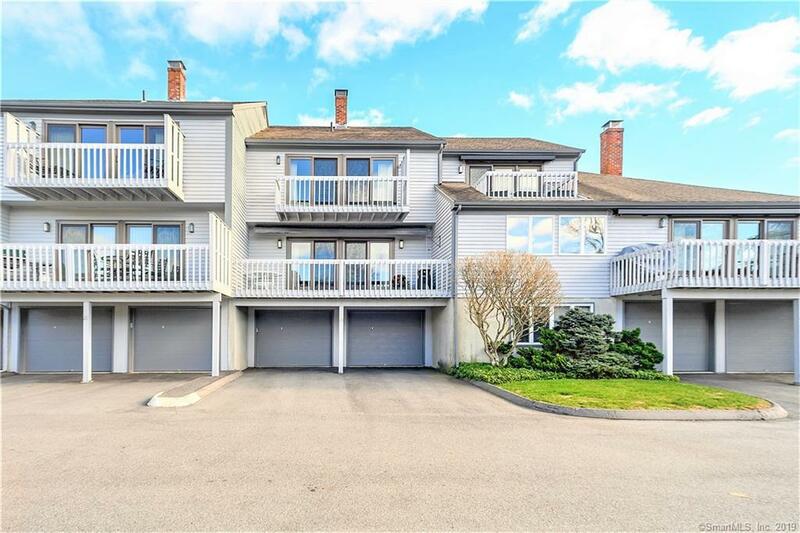 The Master bedroom has space for a sitting area and has two large double sliders opening to the second upper deck also facing the Mystic River. The master bath has been recently remodeled offering built in shelves and a stunning granite vanity. The upper level has an ample size second bedroom and another full bath with a tub/shower. For ease of space the laundry is located on the lower level including room for storage. Please note the new heat and A/C unit! 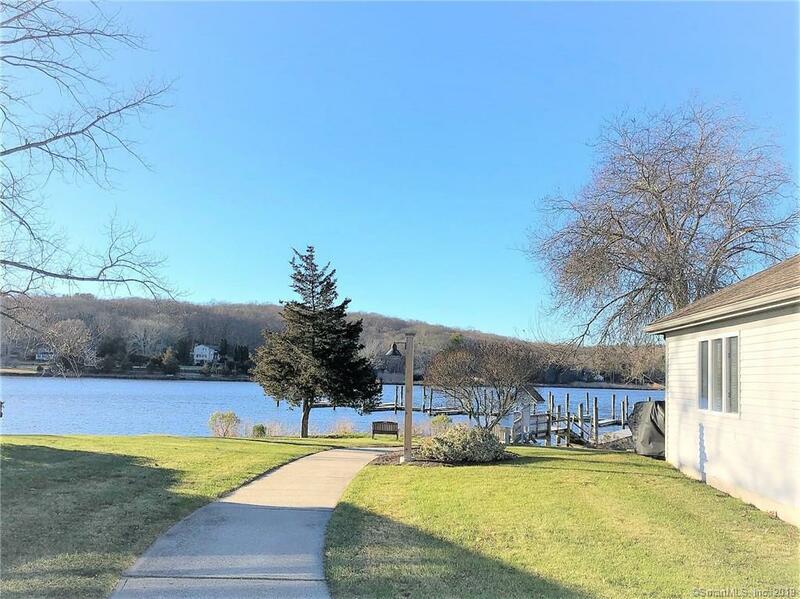 A bright and sunny unit ready to move in and enjoy an easy life style living with the bonus of water views, a dock, a friendly community and a stroll away to Mystic entertainment! 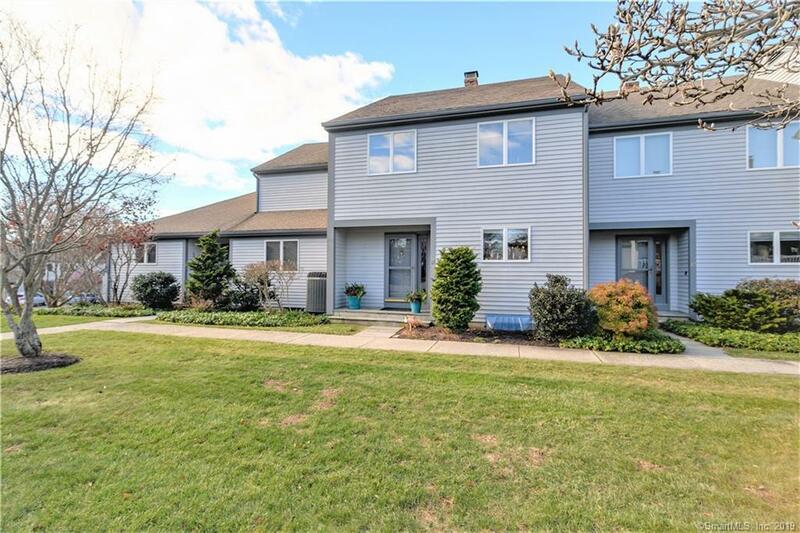 Listing provided courtesy of Cheryl D Auerbach of Berkshire Hathaway Ne Prop..